Companies that are getting engagement right made it the norm to challenge traditional business models and think outside-of-the-box. You don’t just ‘happen upon’ engagement. It all starts with a meaningful engagement strategy. 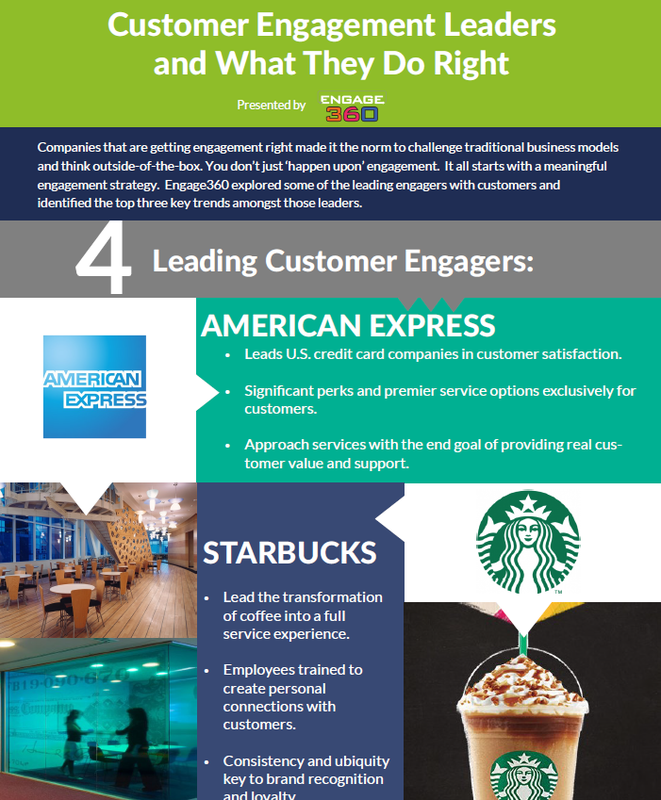 Engage360 explored some of the leading engagers with customers and identified the top three key trends amongst those leaders.